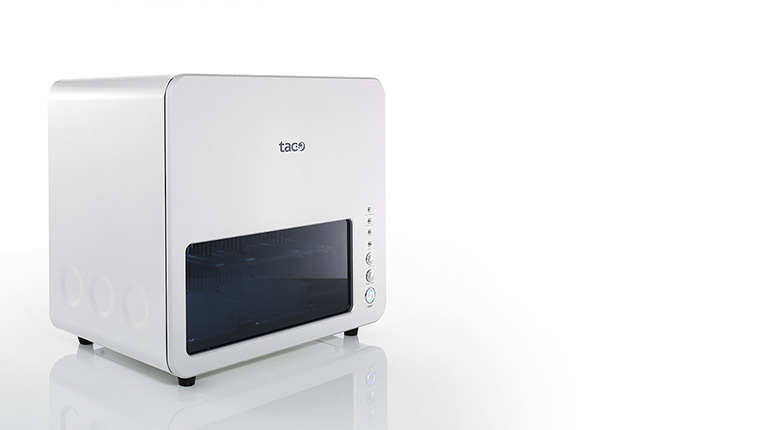 taco™ Nucleic Acid Automatic Extraction System applies the magnetic particle transfer technology to purify nucleic acids from up to 24 samples within 50 minutes. 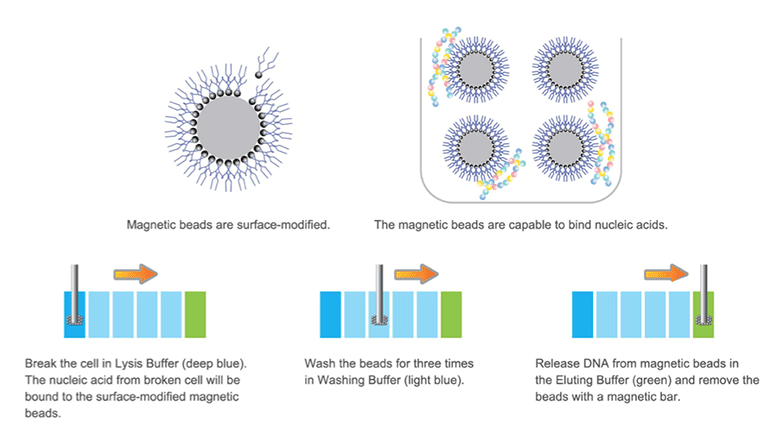 High-quality nucleic acids extracted from a wide range of sample materials are ready for immediate use in downstream application. There is no unnecessary parameter input. You simply press a single button to start. Using taco™ will bring you a whole new experience of nucleic acid purification. • 5 minutes quick installation for prompt use. 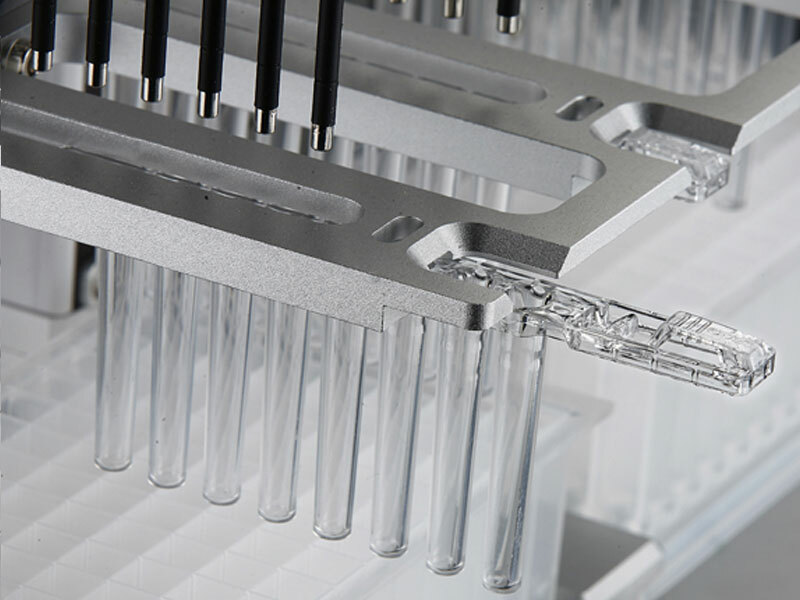 • Compact size for use in the biological safety cabinet. • Up to 24 samples per run. • Universal built-in program for ease of use. • Pause function for emergent stop. • Self-calibration before extraction starts. • Built-in UV lamp to avoid cross contamination. Fig 1. 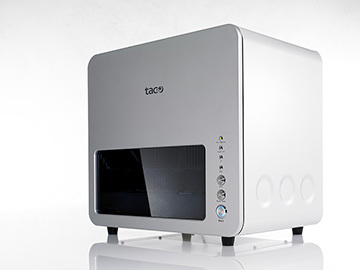 With taco™ Total DNA Extraction Kit, genomic DNA can be extracted from various sample types. Fig 2. With taco™ Total DNA Extraction Kit, the result shows high consistence among samples from the same person's whole blood. Fig 3. No Cross-contamination to neighbor well. 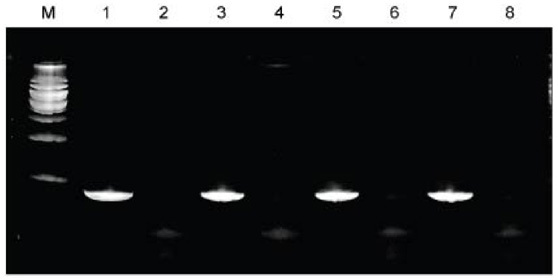 PCR templates are extracted from 200 μl spiked plasmid (1x106, lane 1, 3, 5 and 7) and non-template control (lane 2, 4, 6 and 8).